It's that time again, when we drop everything we're doing to fire up the 3DS eShop, DSi Shop and maybe, on occasion, the Wii Shop. Yes, it's the Nintendo Download update, and this week has a mixture of retail treats, a demo and some lesser known download titles. Let's get to it. Pokédex 3D Pro (Nintendo, $14.99) — It's been a high profile period for Pokémon, with Pokémon Black and White 2 and Pokémon Dream Radar both arriving recently. Now we have the paid, enhanced version of the original Pokédex 3D, which was a free download when the 3DS eShop launched; Pokédex 3D Pro delivers a huge amount of detail on all of the famous creatures, with some extras included to keep you interested. While it's good at what it does, it undoubtedly comes at a high price, making it the most expensive non-retail download on the platform. If you're not sure whether it's worth the investment, maybe our Pokédex 3D Pro review will be helpful. Johnny Hotshot (UFO Interactive, $5.99) — Johnny, first seen in Johnny Kung Fu, makes a return to re-imagined retro genres. This time around it's all about a shooting gallery in the Wild West, so we imagine lots of stylised visuals and shooting every pop-up enemy in sight. While Johnny's first effort only earned 4/10 in our Johnny Kung Fu review, we'll see whether he's quicker to the draw this time around. Dress to Play: Cute Witches! (EnjoyUp Games, $3.99) — Although Halloween has now passed, this title's hoping that it's never too late to customise and dress cute little witch avatars and take them for a ride on a broomstick. Aside from choosing outfits, this one seems to include a number of flying stages in a style similar to those seen in Gaia's Moon on DSiWare. We'll get some style and flying tips and bring you a review soon. Paper Mario: Sticker Star (Nintendo, $39.99) — Available from 11th November onwards, another high profile 3DS release featuring everyone's favourite plumber will be available as a download or in stores. It's the first time that the Paper Mario spin-off series has made it to a handheld, and amongst its strengths are gorgeous visuals and strong use of the stereoscopic 3D screen. It has plenty of charm and wit to avoid coming off as too flat, but also feels a little safe and unadventurous. It earned an 8/10 recommendation from us, though, and you can read all about it in our Paper Mario: Sticker Star review. Disney Epic Mickey: Power of Illusion (Disney Interactive Studios, free) — This arrives in North America on 18th November, and will also be the first third-party 3DS retail title to be offered as a download on the eShop. Adopting a classic style heavily inspired by Castle of Illusion Starring Mickey Mouse on the Sega Genesis, this is a platformer full of promise. You can see for yourself with this free demo, so brush up and start downloading. Come On! Dragons (CIRCLE Entertainment, 200 Points) — The latest of many DSiWare entries from CIRCLE Entertainment and follow up to Come On! Heroes, this is partly a tower defence game, but mostly involves shooting arrows at oncoming enemies with the touch screen. It does come at a budget price, and we'll have our review with you very, very soon. Smart Girl's Playhouse Mini (UFO Interactive, 500 Points) — Originally a series of games on DS, UFO Interactive is bringing this mini version to DSiWare. A collection of mini-games "without inappropriate content", this is targeted at very young children, in case the title hadn't tipped you off. Even though we don't quite match the demographic, one of our fearless reviewers will search for the little girl inside and bring you a review. SENGOKU 2 (D4 Enterprise, 900 Points) — It's Neo Geo. It's a scrolling action platformer. Based on that alone we should have a decent idea of what to expect, though it does promise interchangeable characters and build-up attacks and defence, so there may be more than simple button mashing to be done. Many of these Neo Geo titles turn out to be excellent arcade-style throwbacks, and we'll see whether this is another in our upcoming review. The 2012 Presidential Games (Free) — Tired of the same old election coverage? Then don't miss this special report on the race. Presidential candidates compete for your vote in 3D, only on Nintendo Video. So that's your lot, with every system accounted for and a mix of high-profile releases and unknown surprises. Let us know which will deplete your funds in the poll and comments below. Sengoku 2 is an absolute must. There's one less reason to fire up M.A.M.E. Just the demo. I want the cartridge version of Paper Mario and that's on my Christmas list anyways (saving for my Wii U purchase). And the Pokedex is too overpriced, for $5 I would've gotten it. I'll just be getting that demo. If I do get PMSS, it'll be a retail copy. Interesting, I didn't know they made a Sengoku 2. Going to Youtube now to watch gameplay videos. I personally can't wait to read the review for Smart Girls' Playhouse Mini. Will Chicken Brutus have the pleasure? I voted 'nothing for me' even though I MIGHT (big 'might') get Come On! Dragons IF it gets a really good review (though it's Circle, so I seriously doubt it). Downloading the demo and picking up the cart of Sticker Star, definitely. But what I'm dying to know is when Shantae is coming to 3DS VC!! And anyone who loves Harvest Moon and didn't pick up A New Beginning this past week is a pooper, because it's so amazing I can't put it down. Getting Sticker Star at retail, but I'm really excited about the Epic Mickey demo! I've been on the fence about the game so this should help me decide. I was pretty sure ninja gaiden was coimg out this week, oh well nothing really for me this week. And No Epic Mickey Demo. Nintendo may be a step closer to not become a reliable source. Paper Mario: Sticker Star is awesome, of course I'm not getting the digital version but the physical copy is pure gaming bliss to me. Yeah, I was really looking forward to Ninja Gaiden this week, and there's no 3DS VC whatsoever... Not cool, Nintendo. You toy with my heart enough as it is; the last thing I need is for you to start that trolling business. Leave that to Capcom. Paper Mario, PokeDex 4 meh. I figure the Big N gave us enough shmoo weeks in the spring quarter to figure PokeDex makes up for at least 7 weeks I didn't spend 2.99 on. Still a cool ap to have on the tres dees. I want that Mickey Mouse demo!! getting the mickey mouse demo but that's it. i pre-ordered paper mario already. Where the hell is ninja Gaiden. I'm praying there is an error here. I've been quiet about nintendos pathetic relationship with its customers but this outright blatant lying is disgusting. Definitely getting the demo whenever i get on wifi again. Nothing else though. I like Sengoku part 1. It was a fun early Neo geo game. Sengoku 3 was pretty good with awesome graphics but a bit too repetitive even for a beat em up. 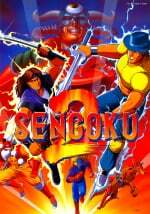 I've honestly never seen Sengoku 2, and I wonder if its a rare Neo geo title. Well, great week for Barbiegurl, but nothing interests me. Guess I'll try the demo at least. I'll be downloading the demo to Epic Mickey when I get home. Love how people are accusing Nintendo of lying about the Ninja Gaiden release for NES. Yes, they said it was coming out today, but that was well over a month ago. There's a big difference between "lying" and "things changing prior to release" - maybe there was a problem pushing the game to Nintendo eShop, or maybe Nintendo just decided to release it next week instead so it was closer to the release of Razor's Edge. Accusations of lying and false advertising are uncalled for, unhelpful and just plain bull. @Barbiegurl777 It is truly great to see both Men and Woman (Girls and Boys) playing video games these days! Paper Mario Sticker Star and Donkey Kong Original Edition for me. I'm downloading the MM demo and Pokedex 3D Pro but am buying a physical copy of Paper Mario:SS(along with the Donkey Kong Original Edition download). I hope that demo is released in Europe too. And everybody in the comments is talking about something different. Thus, the Nintendo download should be divided into separate articles by system: Wii, 3DS, DSi and WiiU. @Omega Like just sub-categories for each system instead of just making a list of everything? Yes. I think a list of everything was okay when only WiiWare and Virtual Console existed. But now it's too confusing. And not everyone owns every system. For example I don't own a 3DS or DSi and I don't care what's been published recently on these systems. @Omega I'm sure there's a site out there that has exactly what you're looking for. Yeah I want to know what happened to Ninja Gaiden on the 3DS virtual console. I was watching Angry Video Game Nerd and GameCenter CX to get ready. I'm debating on whether or not to get Sticker Star or Assassin's Creed III. Both seem to have somewhat mixed critical reception, but I'm leaning toward Mario if nothing else because of the Club Nintendo reward. Nintendo has bad relations with its customers? Three words for you: Nintendo Ambassador Program. 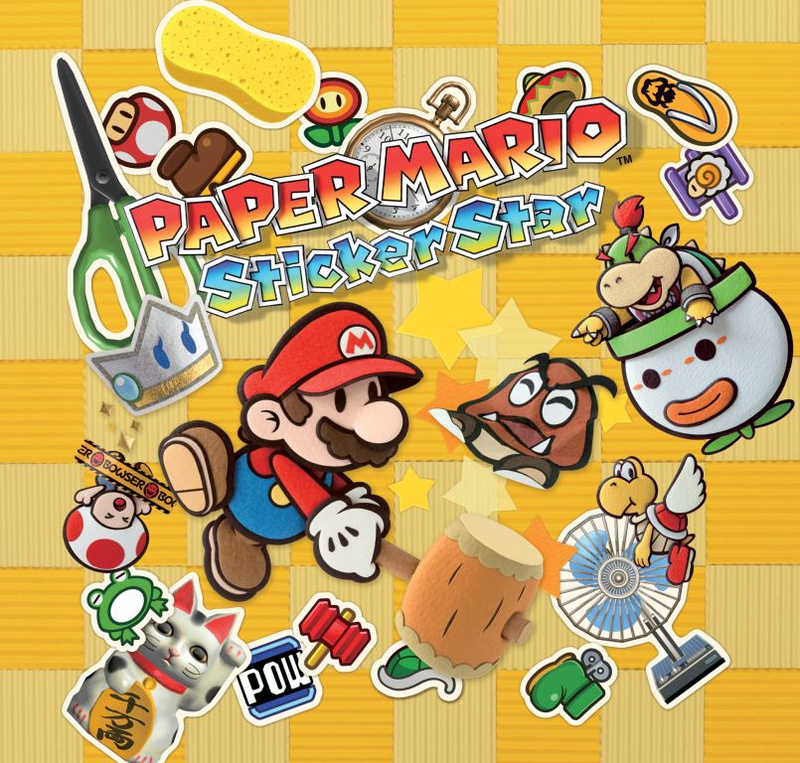 Paper Mario Sticker Star, but undecided whether to get it in retail or as a download. I've never played the series before, admiring the graphics but not sure about the sticker-based battle. I was hoping it'd lean more towards the RPG genre. It's funny as this is the 3rd game I'm planning to get that is eligible for the DK title (which is more a collector's title for me and not a regular play title) and the other two ended up as a retail copy. There's a chance I might regret the purchase as a download and can't trade it in, but then I had the same wariness about the previous game and it was fun after all. At this rate I might just end up with all five titles from retail and no DK. The collector part of me has a terrible sense of humour sometimes. Grabbing Epic Mickey demo. Nothing else I want this week. Holy geez, the demo has this long cutscene intro that you can't skip (I couldn't anyway)! I just want to see the gameplay, Unskippable cutscenes shouldn't be in demos. Aww Johnny HotShot looks cute. Might wait for a review first but it does look fun. Want the Pokedex and will get it eventually (the price is slightly off putting but it sure looks niiiice) I think I'll just get that Mickey demo for now. I'll get the Mickey Mouse demo, but that's it. @True_Hero I think Nintendo has some of the best customer service out there! Every time I've had to call them about something (dating back to the 90s here) the conversation always ended with me pleased. They may not be super great at some other things but I do think their customer service is top notch. I heard the smart girls thing was actually pretty good for it's intended public. Anyways, I'll stay over there waiting for the Harvest Moon GBC VC Natsume promised. @theblackdragon I understand you want to keep it this way, that's fine. Delete his post as well please. Also, I totally agree with @bluecat. Nintendo has top-notch costumer service. I don't use any other online stores, so I can't judge that for myself. However, from what I've heard, eShop titles are generally reasonably priced. Also, sorry if it seemed like I was mocking you in my earlier post. That was not my intention. I admit I may have gone a bit overboard. Well I would say nothing this week for me but I am downloading the demo. Their pricing could definitely be better, but it isn't awful as some. My qualm is with the release list, schedule, and announcements. The haphazard attitude they display makes a lot of retro gamers invested in the system feel it isn't a priority. What do you guys think of the Power of Illusion demo? I got it and it seems like the full experience might a fun and possibly very content-heavy game. I still don't really care for the graphics though and I actually DID grow up in the early 90's with the SNES and Genesis Mickey games. If it had come out in this form on maybe the Game Boy Color or Advance, I'd be a little less critical but this the 3DS; they could make it look a little better. The character sprites are, for the most part, kinda hideous. I might download SENGOKU 2 to hopefully show some support for a future release of SENGOKU 3! Only the demo. I already pre-ordered PMSS. So many good games but I'm holding off on anything Wii related until I get squarely situated with Wii U. 3DS looking so good. I was hoping for Ninja Gaiden. Oh well, looks like I will only be getting the Epic Mickey Demo this week. Yeah and I agree with @rayword45, I would love to see a Marvel Pinball discount for the US as well. don't forget they missed the 2 sonic games that were listed for the 8-bit summer. whats up with that? Epic Mickey demo for me. Nothing else catches my eye. One step closer to Sengoku 3! Getting PP:SS download for DK. It was listed for the 8TH of november, right in NOA's press release, it had a coming soon video up last week. WHERE DID IT GO? At least have TK or NOA reconfirm it's release date so we don't know where it went. So nothing for me this week but the demo, which is probably gonna be terrible anyway as every DI game I've played was horribly, horribly Easy. @Rawk_Hawk: Yeah, where DID they go? Honestly, they were slated for JULY, and they missed their deadline BIG TIME. It's one thing to delay a game due to tech issues (As is the case with unchain blades), but to make it vanish and have no explanation? It's just stupid. Though I will be trying that Epic Mickey demo for sure. I wasn't planning on getting Ninja Gaiden but I'm sad it's not out. The rest of their VC schedule better not get effed up! I'm getting Sticker Star at retail, I'll try the Epic Mickey demo. I'd like Pokedex 3D Pro if it was cheaper. SENGOKU looks interesting. Everything else is probably shovelware. I don't see any 3DS VC games Nintendo. The Epic Mickey Demo looks promising so I will into that one. Where's ma' Ninja Gaiden Reggie, WHERE?!!!! I'm getting the physical copy of Paper Mario, and I'll probably get the demo if I remember lol. I heard great things about both games. Call me a petty fanboy, but I'm saddened to hear about Sticker Star's flaws. I think I'll get it eventually, but I won't purchase it until later. My money is going straight to Power of Illusion. I played the demo, and wasn't disappointed. I liked the demo of Epic Mickey: Power of Illusion, will be getting both this and Paper Mario Sticker Star on the Nintendo eShop soon! Well, this week is better than many. I sigh at how much the Pokedex is, but I had to get it. I actually like to use it for quick drawing reference, rather than having to refer to the internet or strategy guides since neither are always handy. Though I kinda don't like the style of the Pokemon. I'm sure they did it because they needed to animate, but they are broken down a lot into flat and geometric shapes when I don't quite feel that's what they look like. 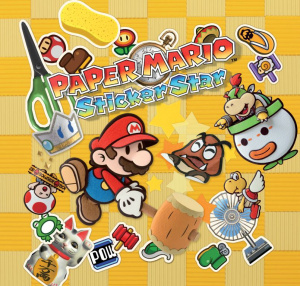 Can't wait until Christmas for Sticker Star. It's because I won't have enough after the Wii U Launch . @Hybrid: Nintendo realized that Pokedex 3D Pro would sell tons even if the price was ridiculously high. I'm not paying 15 bucks for a reference app when I can just get all the info for free off Serebii. I would be downloading Donkey Kong Country, oh wait. . .